It’s a Sunday so at mid-afternoon during a day of largely housework, I wanted a little sip of wine on break. 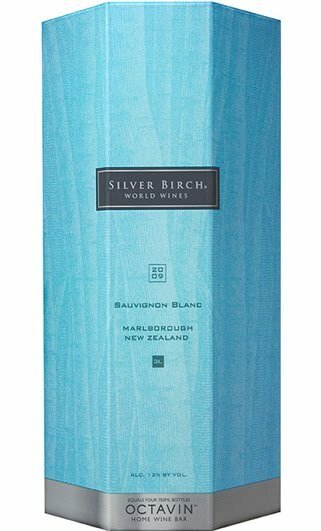 So I went to my refrigerator and poured the last of the Silver Birch Sauvignon Blanc into a glass and enjoyed it. The catch here is that I “opened” the Silver Birch a good 5-6 weeks ago! This is the third in a series of boxed wines from Octavin Home Wine Bar. First came a Chardonnay, then Big House Red, followed by this container of Sauv Blanc. Frankly, the Sauv Blanc was impressive considering you’re getting four bottles of wine at the cost of about two. The wine comes from Marlborough, New Zealand and has nice crisp acidity and just the right amount of citrus. Frankly, this was wine I’d buy by the bottle. I haven’t loved all of these by any means. But this Sauv Blanc was darn good wine. And, I’ll admit I’ve become a fan of the Octavin system – note there are other boxed wine systems out there. I’ve been slow to come around to the concept but it’s really great to go the box and get a single glass of wine or just a few sips. About a week ago the Boho Zinfandel arrived and I’ll write about that one in the coming weeks. All of these have been “trade samples.” I’ve written about this before, but it has been awhile. I occasionally receive wine to sample. My policy is like most other wine bloggers/writers – there is no guarantee I’ll like it or write about it, but I do accept the free samples. And there have been some I didn’t like nor write about. Frankly, I could find nothing not to like about the Silver Birch.